The US announced in October that it would leave the Intermediate Nuclear Forces (INF) Treaty in the near future. President Donald Trump later suggested that the existing treaty should be expanded to include China. NATO Secretary General Jens Stoltenberg expressed concern in an interview with Germany's ZDF TV at China "investing heavily in new, modern weapons," including new nuclear-capable missiles. He also noted that it would be a good idea to include China in the INF treaty, since currently half of its missiles would be in violation of it. "We support expanding this treaty so that China is also bound by it," the NATO chief said. The accord on nuclear weapons, signed by the US and Soviet Union in 1987, is on the verge of termination after Washington announced that it plans to withdraw from the treaty in the near future, citing purported violations of the agreement by Moscow. 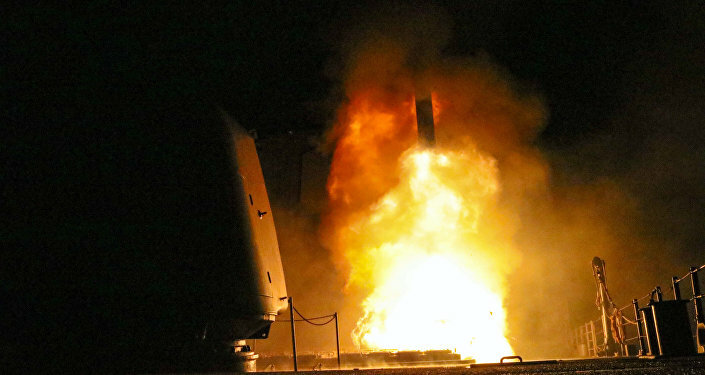 Russia has firmly denied the allegations and has instead accused Washington of having been in violation of the INF treaty for some time, pointing out that the launch sites of its missile defence systems in Europe could be used to launch Tomahawk cruise missiles. Russia slammed the US decision to abandon the treaty, but expressed hope that a new treaty might be negotiated. The US president, in turn, suggested that China should become a participant in a new INF treaty. Beijing was not moved by the suggestion, stressing that its missile program is purely defensive and rejected the idea of joining the arms control treaty. China also warned the US against blackmailing the country into joining the accord.